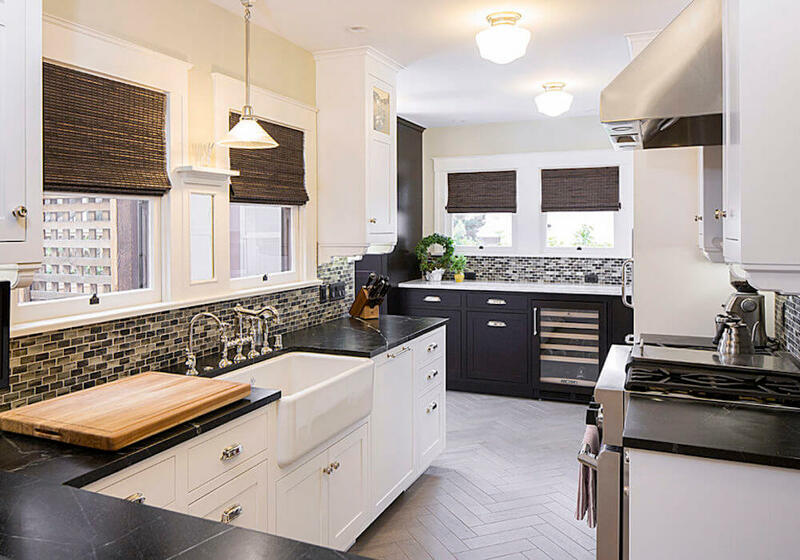 If you’re planning a kitchen remodel in San Diego, it’s easy to feel overwhelmed by the sheer number of decisions you have to make. Should you add an island? How do you want to redo the cabinets? Do you need any new appliances, and will they match your ideal décor? Do you want a brightly colored kitchen, or would you prefer more muted tones? Amid these larger-scale questions, it’s easy to forget about smaller details, like designing a backsplash. But even though most backsplashes only take up a small portion of your kitchen, their design, color, and placement can turn them into the kitchen’s focal point. In many cases, your backsplash can make or break your new kitchen’s look. Below, we’ve listed general tips that can help you narrow down your backsplash options. Once you have a good idea of what you want, talk to your kitchen remodeling expert about bringing your ideal backsplash to life. Both your backsplash and your countertops draw attention and set the kitchen’s mood, style, and aesthetic. Whether you choose your backsplash material or your countertop style first, bear in mind that the two need to complement each other to create a holistic kitchen design. 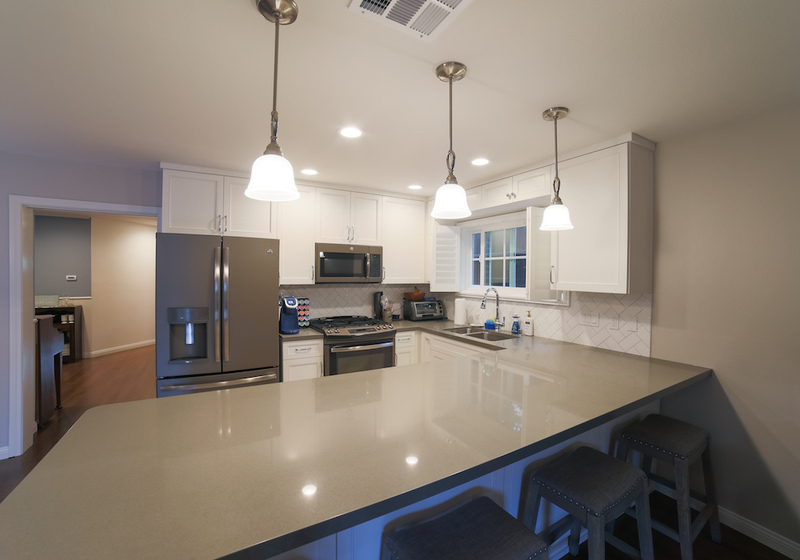 Some designers state that countertops are more important than backsplashes-they take up more kitchen space, and they’re harder to remove or replace than most backsplashes. On the other hand, the right backsplash draws the eye much more than countertops. With your remodeling expert’s help, decide which element matters the most to you, then match the second element to the first. Maybe your old kitchen felt outdated, so you want your new kitchen to look sleek, open, and industrial. Perhaps you want a chic, cheerful kitchen with plenty of bright yellows or pinks. Or maybe you want an antique look, complete with brass fixtures. No matter which style you want, there’s a backsplash to match. Just remember to discuss your style options in-depth with your remodeling team long before you invest in any of the materials you need for your backsplash. The type of material you choose depends on your goals for your kitchen’s design. Some of the most popular backsplash materials include tile, brick, granite, and stainless steel. Each material has its pros and cons. Tile is one of the most popular (and most practical) options. In general, tile is easy to clean, and it comes in so many shapes, sizes and finishes that you’re sure to find something that matches your vision. Usually, you can choose from porcelain, ceramic, or glass tiles, though glass is the most common material for backsplash design. Because they have so many tile options, some homeowners have a hard time choosing a design and pattern. Talk to your remodeling team to learn about your options and ways you can use tile to set your kitchen apart. If you want a rustic, country-home look for your backsplash, brick is your material of choice. Brick’s texture complements the smooth surfaces in the rest of your kitchen, like the countertops and cabinets. Brick comes in varying shades, from deep red to pale pink or white, so you can almost always find brick that matches your kitchen’s look. Since brick has such a unique look and texture, you’ll have to take extra care to match your features to it carefully. And remember that because brick is more unique, it often draws the eye more than other materials. If you’re not careful, it can overshadow the rest of your kitchen. Depending on how it’s finished, granite can work for both rustic and contemporary styles. If you prefer an antique look, choose polished granite. If you prefer a modern kitchen, choose honed granite, which looks more textured. Granite is easy to clean, but it’s often more expensive than other backsplash materials. And because granite is porous, you’ll need to seal it to avoid stains. Most people who want a stainless steel backsplash have a modern, industrial aesthetic in mind. Stainless steel is durable, affordable, and easy to install. Although it’s fairly easy to clean with warm water and soap, you have to rinse it off frequently to maintain its polished look. Stainless steel accumulates stains and streaks quickly. Since your backsplash does so much to set your kitchen’s tone, you might want to channel slightly more of your budget into the backsplash. If you want to create a customized kitchen, a unique, well-designed backsplash is a must. However, your backsplash might not be as important to you as elements like your island, countertops, cabinets, or new appliances. If these items are more important for your kitchen’s overall look, opt for simpler backsplash styles, or be flexible in your choices. Your second-favorite tile might be less expensive than your first pick, and the compromise might be worth it in the long run. Now that you know more about backsplashes, discuss your options with your designer. He or she can give personalized suggestions based on your individual aims and unique kitchen. To learn more about remodeling, browse through the rest of our blog.